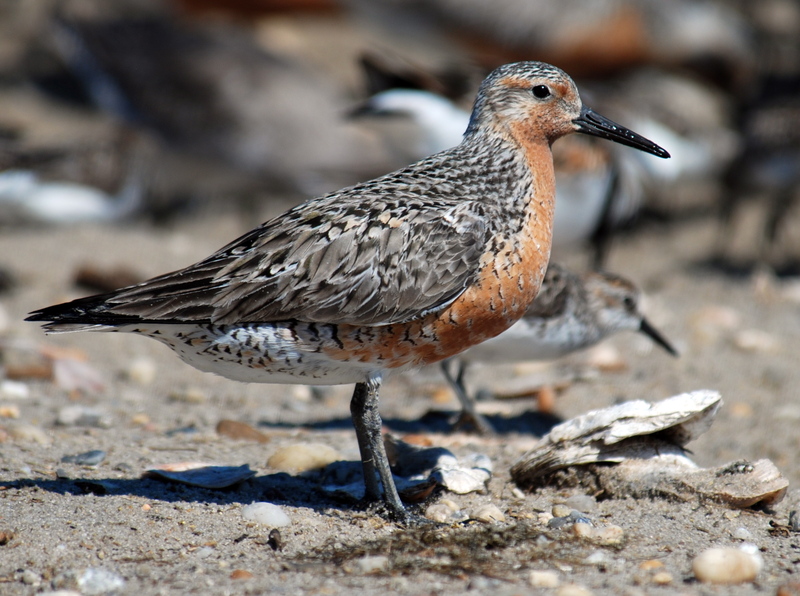 Birders, environmentalists and conservation groups have been concerned about the precipitous population decline in that gorgeous and quintessential Mid-Atlantic shorebird, Red Knot, for several years now. The rufa subspecies, which gathers in large numbers at staging areas on Delaware Bay, Delaware, to gorge on Horseshoe Crab eggs while shuttling between tundra nesting grounds and a winter range in southern South America, has plummeted from a high count of 95,000 in the 80s and 90s to fewer than 10,000 earlier this year. Cause of the decline has been attributed primarily to commercial overharvesting of Horseshoe Crabs for fish bait, but there is concern that climate change may affect the precise time required for the bird’s migration to sync up with the glut of laying crabs every spring. “The insistence that we wait and see means we’re not dealing with these other problems,” Niles said. Federal ESA listing would probably mean protection of much of the Red Knot’s stopover habitat, including barrier islands in Delaware and New Jersey. Hopefully, this long overdue action means we’ve seen the nadir of the rufa Red Knot’s population decline, and the continuation of one of the most amazing bird spectacles on the continent.